I'm sorry it's late, my computer was acting up. I hope everyone has a great time at the giveaway. 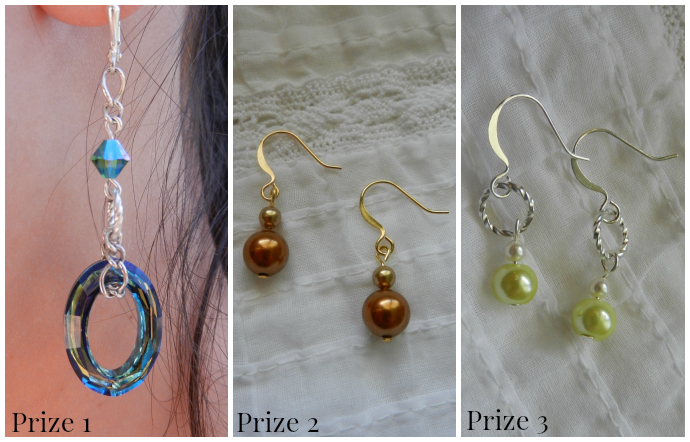 I'm giving away three jewelry items from my Etsy shop, Transcendence Designs. I'm also running a mass sale on Ebay for leftover inventory, and some new items as well! Great deals there, so don't forget to check it out! Many are as low as $.99! Plenty of beach-themed items as well, if you love your beach bohemian bling. Here's the link! And for my Etsy shop, I have a 50% off discount code! Here it is, just use it at the checkout! BIGSUMMERBLOWOUT2014.